Gold has been used as money and a long term store of value for thousands of years. When you buy gold, you are buying one of the world's most stable assets. Gold is a traditional safe haven investment and a perfect way to diversify your portfolio. Gold prices typically move independent of stocks and financial markets, which means that if the stock market goes down in value, gold generally will rise. Physical gold and silver are the only assets that are completely free of counterparty risk, and have historically held their purchasing power. Central banks, institutional investors, and retail investors/collectors invest in gold, which provides the durable demand, enabling gold to retain its value in the future. Gold coins are produced by government mints and are distinguished from gold rounds by having a face value. The face value allows them to be used as legal tender in the country of issue. Gold coins typically have a slightly higher premium than gold bars due to the extra fabrication costs involved in production. When the spot price of gold increases, the price of gold coins will also increase. View historical spot prices. Investors can buy pure gold coins in sizes ranging from 1 gram to 1 kg. Gold bars are produced by both government mints and private mints. 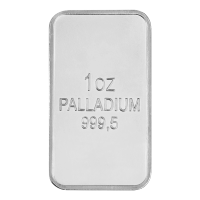 They range in size from as small as 1 gram, all the way up to a 400 oz London good delivery bar. Gold bars typically carry serial numbers, and most bars 1 oz or smaller usually come in a tamper-proof Certicard that contains assay information, the signature of the Chief Assayer as well as a serial number that matches the number stamped on the bar. Serial numbers can be useful if the gold bars are being held in a trust or in allocated, segregated storage. Click here to learn more about our storage program. 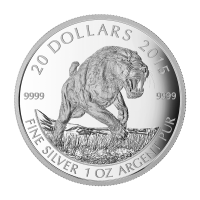 Lower fabrication costs means lower prices for bars than for coins or rounds. This allows you to accumulate gold at a lower cost per ounce and maximize your return on investment in physical gold. When the spot price of gold increases, the price of your gold bars will also increase. Gold rounds are produced by private mints. 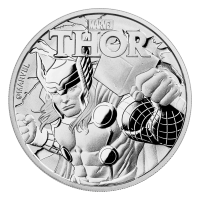 They feature craftsmanship that is the rival of government mints, however they do not carry a face value and cannot be used as legal tender. 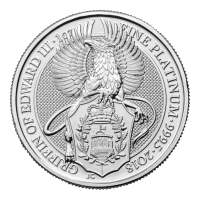 Private mints have a much greater latitude in terms of the subject matter of their rounds and many are very creative with beautiful and interesting designs. Gold rounds can be purchased in sizes from 1/10 oz and up. 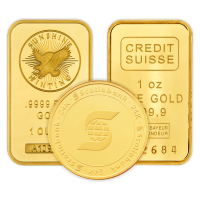 The spot price of gold is the basis for determining pricing when you want to buy gold bullion. We price our products off of gold spot price, using the most up to date and accurate data feed. You can view the current gold spot price at the top of every page on our website. Gold spot price is "live" and updated on our website every minute the global markets are open. You can order online 24/7 to take advantage of temporary price fluctuations. Want to follow the spot price of gold but can't watch the market all the time? Set a Spot Alert. Our website allows you to set alerts at price levels that you are following, both above and below the current spot price. Simply log in or create a free account to use this feature. Once you are logged in, hover over your account number and click on spot alerts. You can set as many different gold spot price alerts as you would like, and we keep your previously triggered alerts for your reference. Opening an account only takes a minute.